Our range of products include goldsmith jewellery wire & sheet rolling machine, kundan rolling mill machine (jewellery making 4 inch) and chain hammering machine for jewellery. Fostered with vast domain experience, we are engaged in manufacturing and supplying an exquisite collection of Jewellery Rolling Mill Machine for Jewellery Making that find wide utilization in making different jewelries. Our provided mill machine is developed from contemporary techniques as per the set norms of industry. 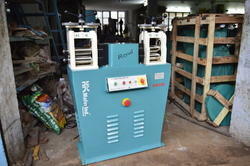 This mill machine helps in compressing and changing the shape of metal. 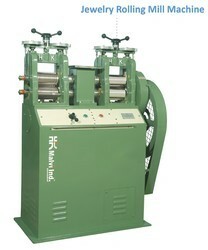 We offer this mill machine in assorted specifications and deliver confine time. 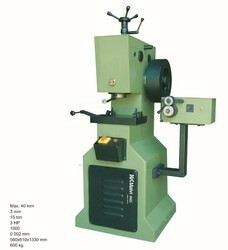 Gold Chain Hammering Machine is used for hammering different types chains for making different designs. They are available in different sizes and specification as per the requirements of the clients. These are also stringently checked on various parameters to ensure its compliance with the prevailing industry standards.